Gone are the Mad Men days of sipping scotch at the office, but give a nod to corporate nostalgia this holiday with a custom cocktail shaker set from Brava Marketing Promotions. 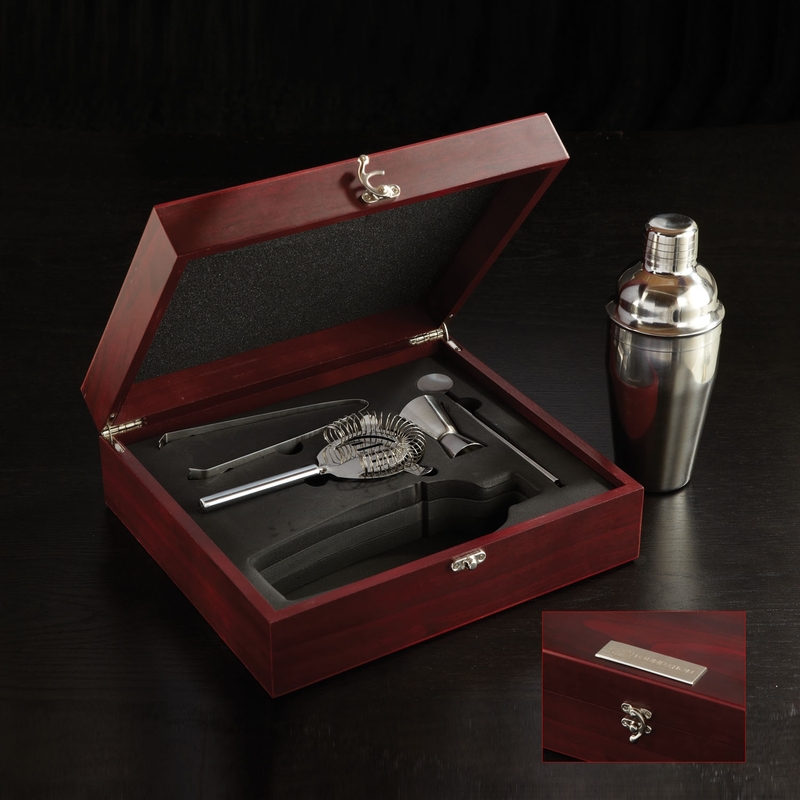 Our extensive selection of affordable promotional cocktail shakers are easily imprinted or engraved with your company logo, insignia, or personalized with a name. We offer a wide variety of cocktail shakers and drink mixers at various price points, available in stainless steel or plastic. A customized cocktail drink shaker is a perfect gift for a mixologist connoisseur, budding bartender, or home entertainer. Personalized cocktail sets include a mixer, strainer and tumblers, and may even include a branded gift box! Hosting an executive holiday party? Consider a custom branded cocktail shaker as a timeless parting gift engraved with your corporate logo or slogan. Include a themed cocktail recipe and fill with candy as a festive holiday treat.